Diabetes is a debilitating and progressive condition. While the exact cause of this disease is still unknown, it has been found that diabetes is mainly caused due to certain factors and conditions. The main reasons behind the occurrence of type 2 diabetes in certain individuals are the shortage of insulin, insulin resistance, excess weight and genes. If one of your parents have diabetes, it is very likely that you may develop this disease in your later life in case you don’t take precautions and follow a faulty diet. In healthy individuals, the insulin is released by the pancreas into the blood stream. The insulin circulates to muscle cells, where it acts as a ‘door opener’ and lets the glucose into the cell which is used by the muscle cell for energy. However, in type 2 diabetes the muscles and other tissues are much less responsive to insulin which then makes the pancreas produce more insulin to achieve the desired effect. This results in too much sugar or glucose in the system which can be fatal for the kidneys and other organs of the body. Metformin is the best type 2 diabetes treatment drug available in the market. Since the main goal of type 2 diabetes treatments is the management of insulin resistance in diabetic individuals, metformin for lowering the blood sugar levels help in achieving the desired goal. While the higher blood sugar levels can also be controlled with diet and exercise, taking oral medication like metformin goes a long way in managing type 2 diabetes in certain individuals with weight and other problems. Metformin acts by preventing the liver from making excess glucose and by making muscle and fat cells more sensitive to available insulin, thus not only lowers blood glucose levels, which in the long term reduces the risk of diabetic complications, but it also lowers blood cholesterol and triglyceride levels and does not cause weight gain the way insulin and some other oral blood-glucose-lowering drugs do. However, taking metformin doesn’t mean that you stop exercising or controlling your diet, the medicine works best in combination of exercise and diet control if you really want to win victory over this disease. 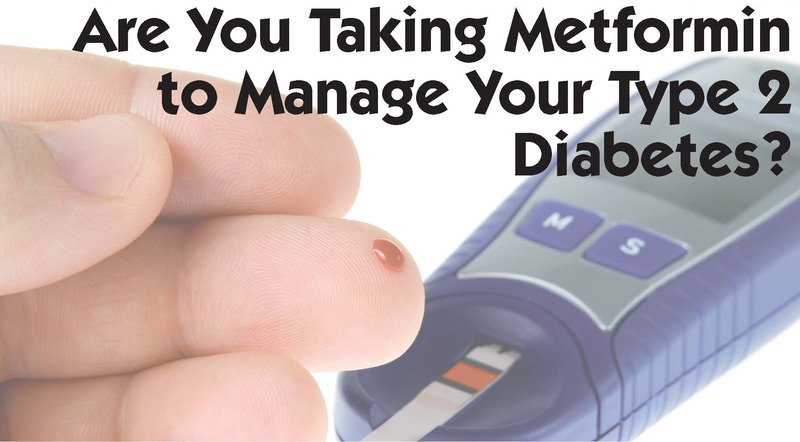 Since metformin do not cause your body to make more insulin, it can cause hypoglycemia in certain individuals. Metformin must be thus taken with due precautions and care. Another issues with metformin is that it can cause a condition called lactic acidosis which is a buildup of lactic acid in the blood cells. This happens to individuals with kidney problems, who are thus advised not to take this drug without doctor’s suggestion. Otherwise the medicine is completely safe to take with no serious side effects.